Specialty Cruises: Cruise along the sparkling waterways while admiring the brilliantly lit Magic Kingdom soaring from the shore. 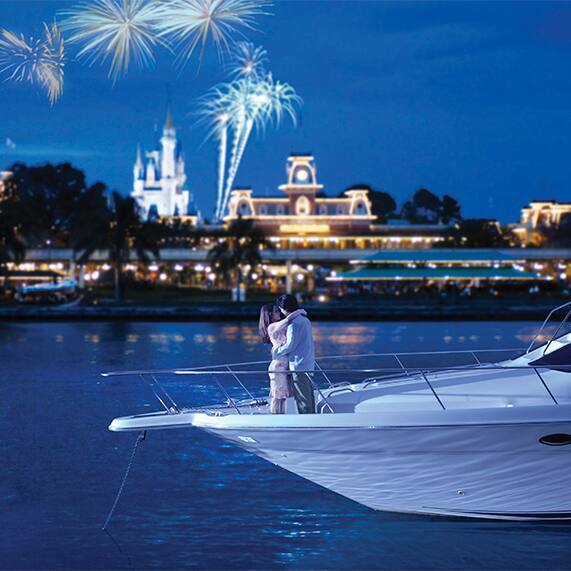 For the ultimate romantic getaway, choose the Fireworks Cruise that ends with a spectacular view of enchanting fireworks. 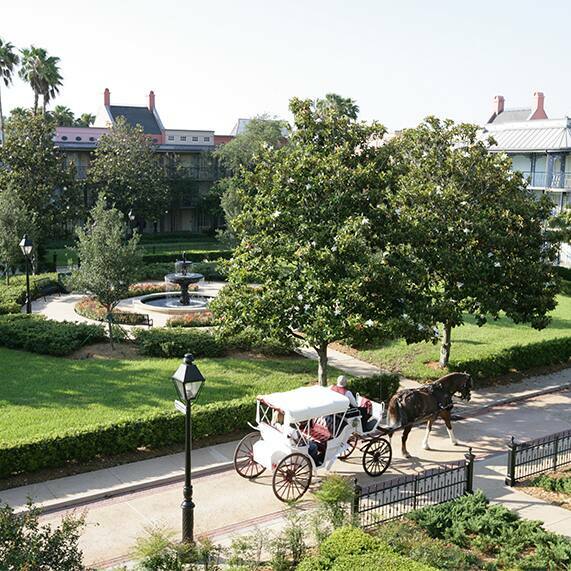 Carriage Rides: In an intimate horse-drawn carriage, enjoy a ride through Disney's Fort Wilderness Resort & Campground or Disney's Port Orleans Resort. Bring a picnic basket along so that after you can enjoy your own secluded luncheon. 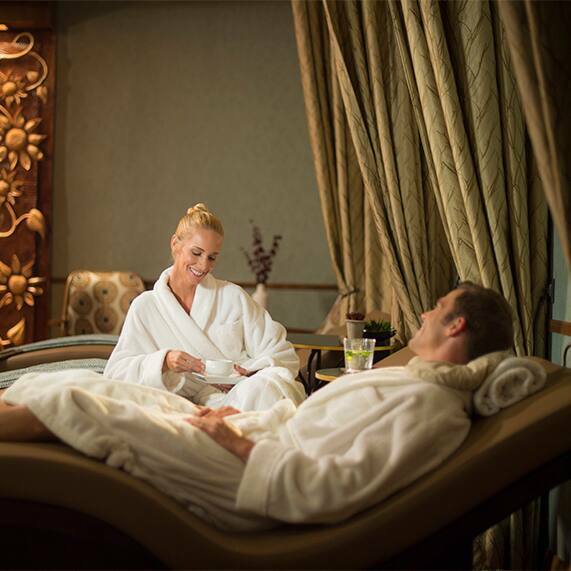 Resort Spa Services: Treat yourself to rejuvenating massages, facials or treatments for two in the tranquility of one of the spas at the Walt Disney World Resort. 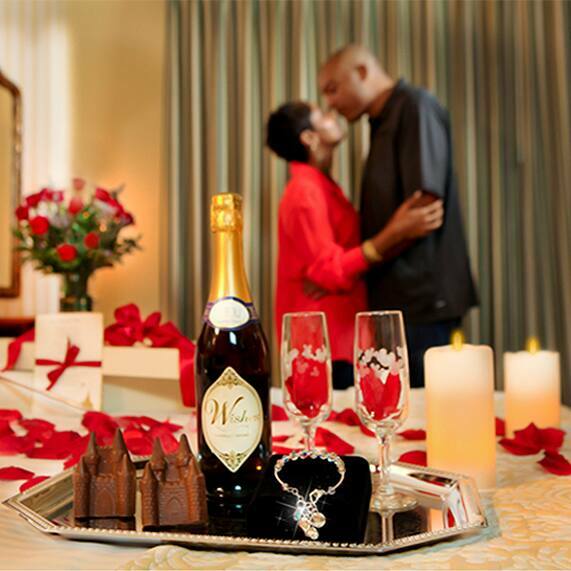 While lying side by side, you will discover a world of pure honeymoon bliss. Disney Floral & Gifts: With the help of Disney Floral & Gifts, the celebration will come straight to your Walt Disney World Resort room. From floral bouquets to chocolates, the Disney Florist's "Dream Makers" will help add a splash of romance to your room.